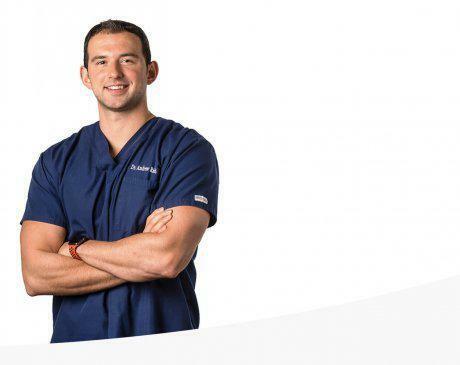 Andrew Ruiz, DPT, is a physical therapist and the director of sports performance at Total Health Physical Medicine & Rehabilitation Center in Florham Park, New Jersey. He treats professional and collegiate athletes, as well as high school and youth players, and provides orthopedic and rehabilitation services. He is in charge of orthotic fittings at the center. Dr. Ruiz trains patients in speed, agility, explosiveness, and other personal goals. He has transitioned players from high school sports into NCAA Division I athletes. He offers sports clinics for children at an off-site facility. Dr. Ruiz received his master’s degree in physical therapy from Misericordia University in Dallas, Pennsylvania. He completed his doctorate in physical therapy at the University of St. Augustine. He is certified in the Sportsmetrics™ ACL prevention program, and completed postgraduate courses on the athletic shoulder, therapeutic yoga, comprehensive knee treatment, and analysis of running mechanics. Dr. Ruiz played collegiate basketball and was on the NCAA All-Academic Team. He continues to coach basketball and plays in a men’s basketball league. He is a strength and conditioning coach for the Amateur Athletic Union.